Obtaining Florida Flood Insurance Quotes Online is easy with Click & Save Insurance. Find the most affordable Florida Flood Insurance available based on your personal homeowner profile. Our team of professional insurance agents are here to assist you. Call us today at 1-813-643-7770 for all of your Florida Insurance Services, or click here. 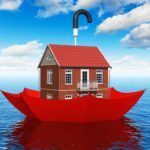 Do I need Florida Flood Insurance? Florida Flood Insurance covers damages not covered by homeowner’s policies. In Florida, flooding is a serious risk. This is due to the state’s geography and proximity to water, both on the coast and the interior. Insurance to cover floods in Florida is not usually included in a homeowner’s policy. Most often, it is a separate investment. Depending on your location, flood insurance may be required to obtain a mortgage. Federal law requires some locations that typically flood to have flood insurance. Today! A 30 day waiting period is required for most flood insurance policies before the coverage is effective. Exceptions include the purchase of a new home, where the closing is within 30 days. How can I save money on my Florida Flood Insurance? How can a Click & Save Flood Insurance Agent help me? Explain the various Florida Flood Insurance policies and options. Give valuable information about the Florida Flood Insurance claims process. Explain what your Florida Flood Insurance coverage protects. Am I eligible for the National Flood Insurance Program (NFIP)? You may be eligible for flood insurance at a modest cost through the federal government. You may qualify if your home is in a community that participates in the National Flood Insurance Program (NFIP). If you are eligible, Click & Save will issue flood insurance that’s administered by the federal government. Check with the knowledgeable professional agents at Click and Save Insurance first!